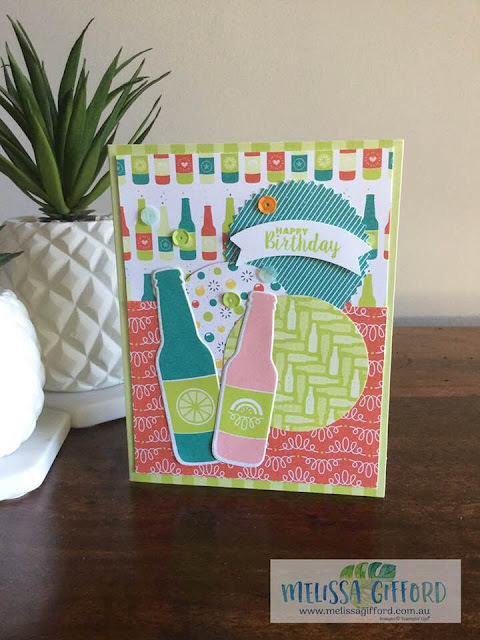 How fun are these bright cards? I saw these done by Patty Bennett and I knew I had to CASE them straight away - they were so much fun to make. And the best bit - I was able to use lots of FREE sale-a-bration items! 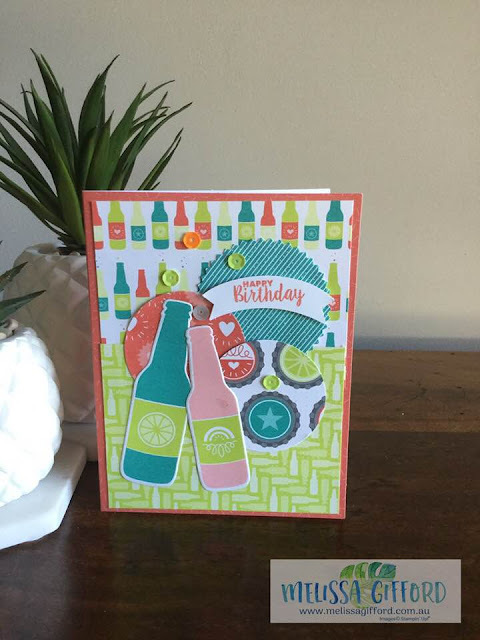 I die cut a heap of bottles, punched out a heap of circles and then layered it all together on the FREE Tutti Frutti cards and envelopes. The cards are patterned and pre scored so no work there and the envelopes have a matching flap. Add a small punched out sentiment (mine is from Ready to Pop), some adhesive sequins and job done! 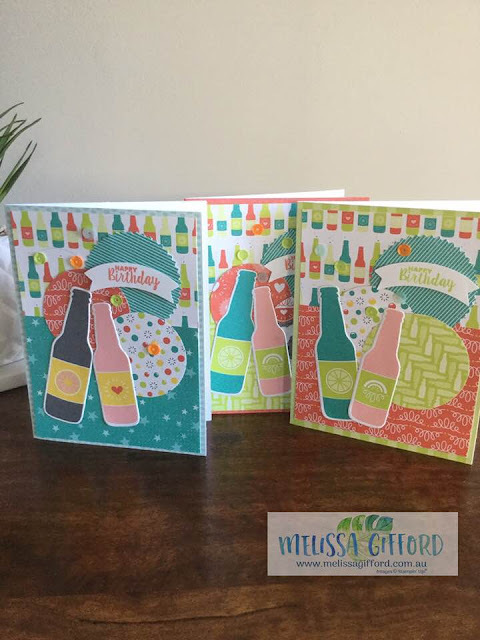 The cards come with matching envelopes to add that extra something to the cards too. Why not give them a try yourself?